A majestic sunset, unprecedented beauty of a terraced skyline, soft breezes, and the excitement associated with a cruise upon the water. These are only some of the magical reasons why people select The Black-Eyed Susan to host one of life's most important events. 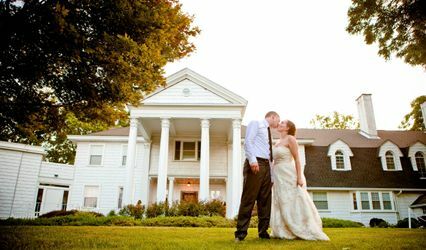 The Black-Eyed Susan offers a unique and comfortable setting for your wedding. The canopied upper deck is completely open throughout most of the year. Should you decide to take your vows aboard The Black-Eyed Susan, you can provide your own clergy, or if preferred, our Captain is ordained to perform the ceremony. All of your guests can comfortably be seated to watch the pageantry of this wonderful occasion. The Black-Eyed Susan has often been called "The Little Chapel on the Water". 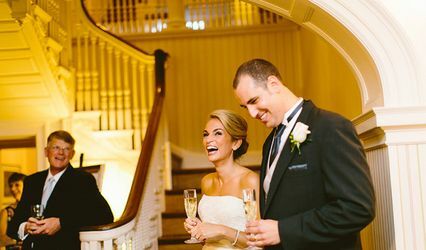 For your ceremony aboard The Black-Eyed Susan, your guests will be escorted to the upper deck, while the wedding party is assembled in the Main Salon. When the ceremony begins, you will be led up to the 40 foot aisle to the sounds of your special song or the Wedding March. 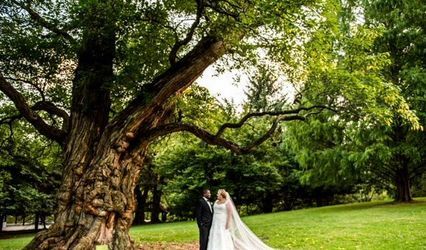 You may prefer to exchange your vows in one of the magnificent churches or temples that Baltimore is so well known for, and host your reception on The Black-Eyed Susan. Your reception begins with hors d'oeuvres and beverages, followed by outstanding food and service throughout the cruise. Your exquisite customized wedding cake is provided through Patisserie Poupon. At the time of the cake cutting, we present a silver-plated cake knife, as our gift of appreciation, to the Bride and Groom. The Black-Eyed Susan hosted our wedding which had approximately 110 guests. Everyone RAVED about the food and the venue. They were very accomodating and responsive to all our needs. Since we got married in a government building, the WTC had an approved list of 30 caterers that we had to choose from. Cameo Caterers was on the list and we ended up selecting them as the caterer for our event. Throughout the planning process we had several problems with the caterer. We were living on the West Coast and planning the wedding from across the country for the first 9 months or so of our engagement. While we were going back and forth with the caterer during this time period, they would only send snail mail instead of email. This became very problematic for us, as it would take an extra 3-4 days to continue the conversation due to the fact that we were so far away. We also tried multiple times to schedule a tasting, which never happened. We should have taken that as a sign since the food for our reception wasn't very good. The appetizers were delicious but the stations that were set up were only so-so. The man in charge of the company, Leonard Schleider, also was very rude to me the first time we met face-to-face regarding the fact that we had hired a day-of planner. He was very hostile, questioning why we had hired her and how much she cost. I found his questioning and demeanor to be incredibly rude and offensive, and we actually considering finding another caterer after that interaction. My final issue with the caterer occurred the night of our wedding. When I got our photo booth pictures back I found that the entire catering staff had monopolized the photo booth for a portion of the evening. The photo booth only opened at the start of cocktail hour and the photos were given to us in the order they were taken, so we know that the catering staff was in the photo booth for a good chunk of time, right in the middle of our event. I found that to be incredibly unprofessional, not to mention out of line, as we were paying for the booth for the entertainment of our guests and the staff should have been focused on serving.